Have fun decorating this tender horse and its foal. 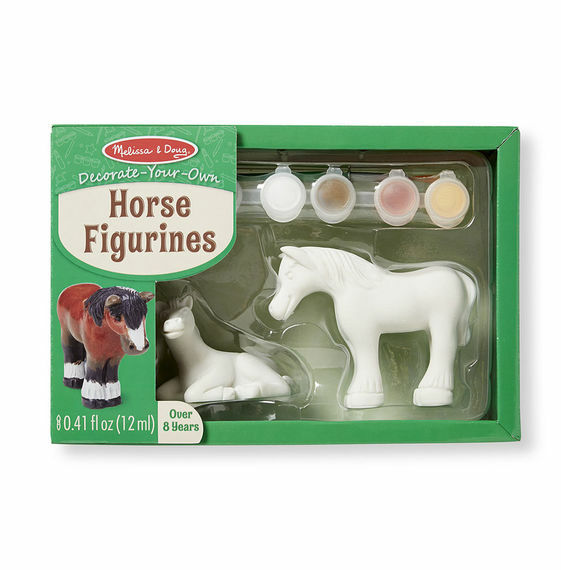 This kit includes two ready-to-decorate, solid-resin horse figurines with 6 pots of colorful, non-toxic paint and an easy-clean paintbrush. Ages 8+. Melissa & Doug.